While the cost of petrol and diesel has been fluctuating for many years, the demand by organisations for vehicles which boast better fuel efficiency, reduced carbon emissions, and which better meet the needs of the end user, has continued to grow. Vehicles are being required to do more with less, and the focus has moved to reducing the overall weight and the savings this brings over time. And so manufacturers are continuing to improve the specifications of their vehicles and provide a better overall driving experience by reducing the weight of the chassis, but to ensure that the customer benefits from increased payloads, the whole vehicle needs to be considered. As a company leading the way in the field, we’re marking a decade since bringing the manufacturing of our products completely in-house from our site in Telford. And, thanks to smart design decisions, we’ve significantly reduced the weight of our bodies by more than a quarter of the initial weight, and delivered savings for our customers through more flexible load handling abilities. We’re proud to manufacture our range of bodies for many major UK manufacturers, including Ford, Volkswagen, Vauxhall, Iveco and Renault, as well as Nissan, Peugeot, Citroen and Mercedes Benz. 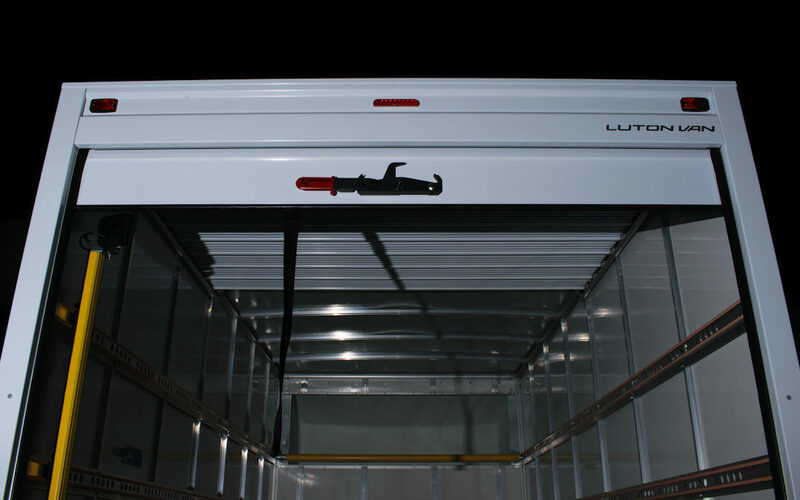 Back in 2006, we did as many in the industry still do and imported body kits for our Luton vans from Europe, including the shutter doors which are located at the rear of the vehicle. The body in total then weighed 850kg, and the import of body sections resulted in relatively long lead times for our customers, whilst limiting what we were able to offer in terms of flexibility. Not to mention, back then our Luton body was only available for the Ford Transit, precluding its use by those who preferred other chasses. Over next four years, we invested extensively in the high-tech, specialist equipment required to make the Luton van shutters from our site. Not only were we able to improve our body specification, but we also moved from a traditional plastic construction to stronger aluminium shutters. In 2012, we also took ownership of the roof and body panel manufacturing, which provided us with even more flexibility when it came to our design and delivery, and allowing our team to best utilise their expertise and skills in repairing or replacing any parts directly from the same site. During this time, we also diversified to make the vehicle fully compatible with all major vehicle chassis manufacturers, opening up the market significantly. These changes saw a reduction in the weight of the vehicle body from 850kg to 650kg, dropping a huge 25%. Our ongoing focus on utilising the expertise of our in-house research and development team has meant a stronger focus than ever has been placed on reducing the weight of our Luton van. The overall objective has been: the provision of a body for all leading vehicle chasses, which offers in excess of 1tonne payload – including the weight of the tail lift, which is usually classed as an addition to the weight across the wider industry.